Notes can be used for Passive Income Now and Passive Retirement Income Later…This meeting will be well worth your time whether your close to retirement or many, many years away from it…..
“...everyone talks about what happens when you turn 65. But really, it's what you do before that, that counts. That's thinking time. And how you want this to go, depends on you and what actions you take NOW! While there are many investing vehicles to get you to retirement, I think you will agree, investing in real estate is at the top of that list. At this eye-opening presentation “J.W.” Warr of American Note Warehouse, will be here to show you how to harness the power of The Velocity of Money and Passive Income to have a dramatically positive effect on the health of your current income and your retirement. It is obvious, that the best way to make money is the way most people want to make it... passively. 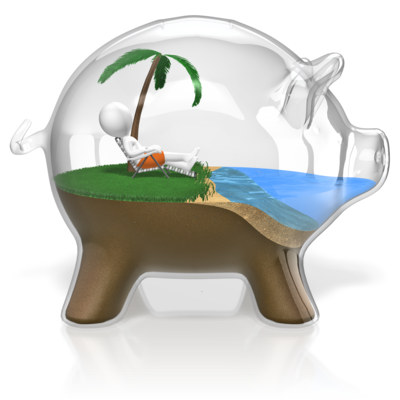 Don't we all want to make money while they sleep, eat, or lay on a beach? “J.W.” will be here to help you understand “High-Velocity, Short-Term, First Lien Small Mortgage Notes (24 months to 36 months, $10,000 to $20,000) and why if you're going to invest in mortgage notes, these are the only ones you should be buying for maximum passive income whether you use it for on-going living expenses or your retirement income. What J.W. teaches is not conventional wisdom but common sense math. If you compare small, short term notes against any other investment you will see that his notes, blow them all away. If you on the other hand, you don't care about the mechanics, and just want to know how and where to invest in one or more of these types mortgage notes, click on over to our website DallasREIG.com to find a special deal for Dallas-REIG community members like you. The decisions you make about retirement are B-I-G! “JW” Warr seeks to empower you and others like to you to use alternative investment strategies to achieve new levels of financial success now and as you prepare for retirement. The actions you take now directly effect what your retirement will look like later…let's ride the Velocity of Money to a happy retirement. JW Warr with American Note Warehouse is great to work with. He educates you on how notes work and is very knowledgeable. I love it because he thinks “outside the box” I have been very pleased with the return on my investments with the notes that I have purchased!! Great experience. Working with JW has been very rewarding and he has helped me work towards my goal of financial freedom.